If you blink, the moment can pass by pretty fast on the open highway. 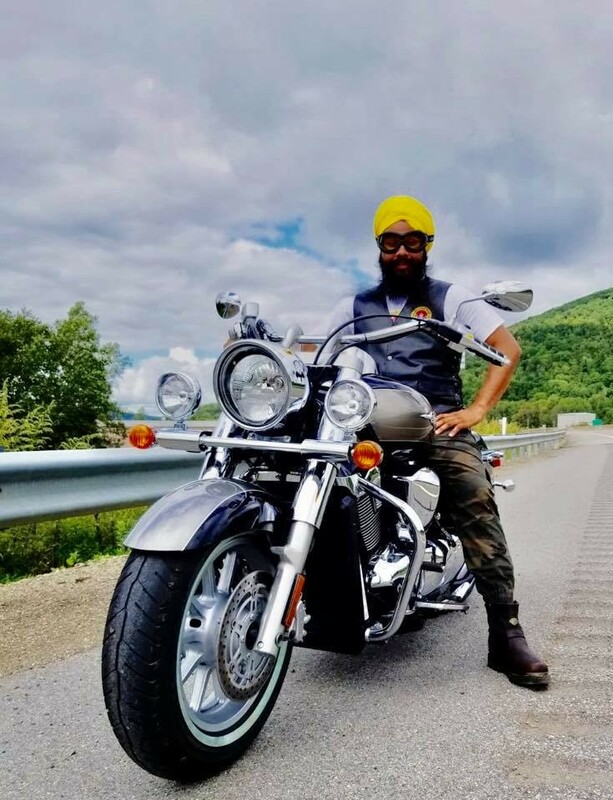 A turban-clad Sikh clutching the raised handlebars of a motorcycle, riding free and helmet-less, black tires gripping the blacktop. To many drivers, the sight is inconsequential: a turban-wearing man riding a motorcycle. Others may note that it’s unsafe, and signals clearly that Ontario law is being broken. What many people outside the faith are unlikely to do, even in post-multicultural Canada where the sight of a turbaned man is commonplace in most cities, is grasp the magnitude of what they’re seeing. The fight for Sikhs to get that small freedom, the choice to legally leave the helmet behind, continues inside the legislature at Queen’s Park, despite the fact that many jurisdictions, including other Canadian provinces, long ago crossed the legislative line to allow the exemption. Each time the question arises, critics point out safety concerns, potential impacts on insurance rates and a host of other issues as reasons Sikhs should be forced to don protective headgear, just like everybody else, while on the road. However, for those in the Sikh riding community, this debate isn’t about safety or other deterrents. They have no plans to capitulate and will continue to ride with turbans wrapped tight on the open road. To grasp why someone would want to hop on two wheels and loads of horsepower without a helmet, one must understand a concept that has roots deep in the fundamental beliefs of Sikhism. Helmet laws don’t simply ask Sikhs to take off their turbans and replace them with a protective covering. It’s a demand to remove a piece of who they are. Motorcycle helmet laws in Canada are easy to understand. Across the country, riders and their passengers must wear a helmet or risk the $110 ticket that comes with being caught without one. 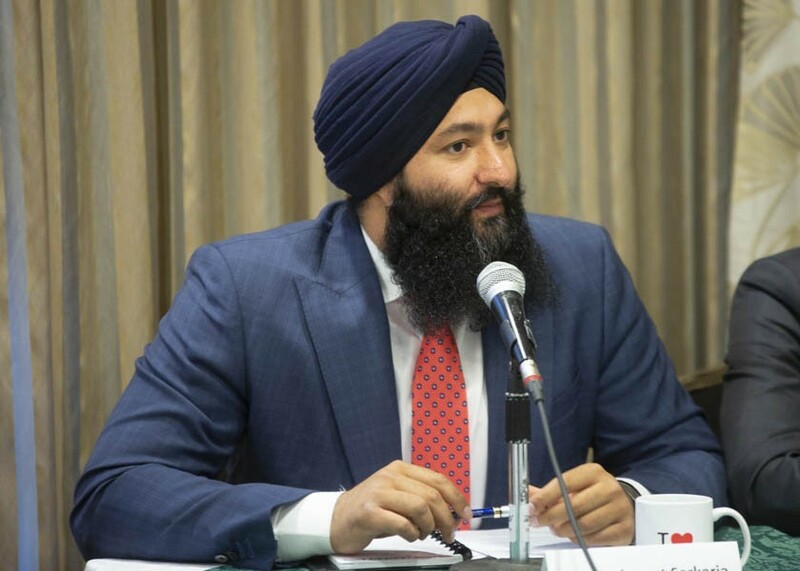 Brampton residents may be familiar with the case of Baljinder Badesha, who, in 2011, lost an appeal seeking to quash his ticket for riding without a helmet, challenging the rule on grounds that it violated religious freedom provisions in the Human Rights Code. The debate about exempting observant Sikh motorcyclists has been in and out of the legislature ever since. 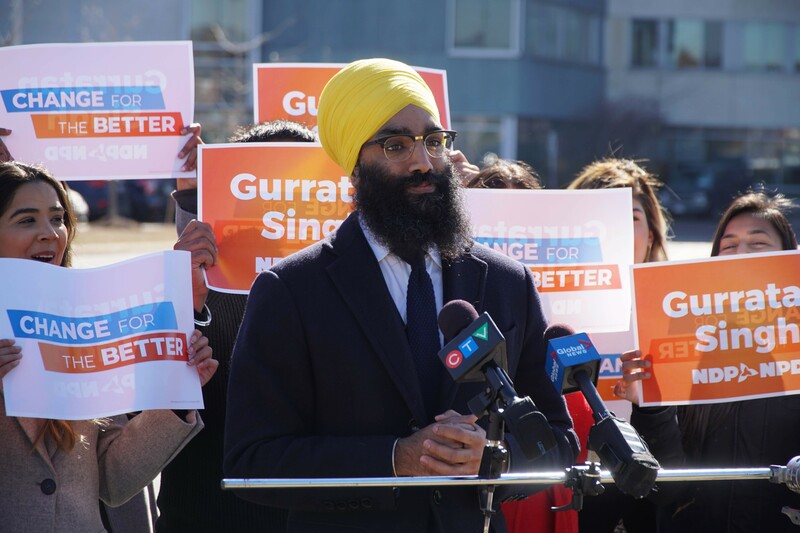 Several private member’s bills, including those brought forward by Jagmeet Singh, former MPP for Bramalea-Gore-Malton before he became leader of the federal NDP, have never gained traction. The situation now appears to be changing as a bill laying out the rules for a potential Sikh exemption passed second reading inside Queen’s Park this past week, and appears to have broad support from the ruling PC government, largely because Premier Doug Ford has strongly signalled he will back it. It’s the closest Ontario has come to joining British Columbia, Manitoba and Alberta in passing helmet law exemptions for devout Sikh riders. Standing to speak on the issue were Brampton PC MPP Prabmeet Sarkaria and NDP MPP Gurrattan Singh, both turban-wearing Sikhs. During their remarks, the discussion moved from the dry and dusty realm of legislation into the rich history of religious devotion and commitment to something larger than oneself. The pair of MPPs spoke of uncompromising belief and dedication to their faith that doesn’t waver in the face of conflict. It’s a concept ingrained in the Sikh religion and a cornerstone of the Sikh identity. “This is the root of why we wear a turban: to empower all individuals, to say that we are all kings and queens, that we are royal, that we are sovereign,” Singh said. “The wearing of a turban is an integral component of the Sikh identity and a sacred article of faith. For practising Sikhs, the turban is essential to their identity, and removing it is inconceivable,” Sarkaria said. Discussions of faith seem at odds with the secular, businesslike tone in the legislature. But to understand the Sikh argument for the exemption, these statements deserve some unpacking. A central tenet of the Sikh religion is opposition to the persecution of others. Whether it’s gender, race, or religion, Sikh teaching is that everyone is created equal. It’s a canon of the faith developed and passed down the line of 10 Sikh Gurus responsible for the historical, earthly foundation of Sikhism over the centuries, starting with the very first, Guru Nanak. “Guru Nanak … believed in the concept that God had created men and women as equals. Both Sikh men and women at that time were enjoined to cover their heads as a mark of respect and humility before God. In doing so, the Sikh faith reinforced the fundamental equality of both men and women,” Sarkaria explains. “From the time of Guru Nanak, the turban became synonymous with the outward identity of a Sikh and has continued to stand for the Sikh belief in gender equality, humility and supremacy of God.” In India, at the time (and sadly even still today in many parts) gender, caste and religious discrimination were firmly ingrained features that society was based upon. It’s a sad irony that while many Sikhs hold their distinct religious practice so close, historically, they have faced rampant persecution. In fact, two of the Sikh Gurus and the family of a third were tortured and killed in the 1600s and 1700s for refusing to compromise their faith when ordered to forsake their distinct identity and convert to Islam. The ninth Guru, Guru Tegh Bahadur, the Sikh leader between 1665 and 1675, suffered a particularly chilling fate. He was captured, along with some of his followers, after defending villages from Mughal persecution. Sikh soldiers were also led back to Delhi, the centre of Mughal rule during that period, along with their Guru, who was placed in an iron cage and made to watch as others were tortured. The living Sikhs were perhaps the lucky ones in this grisly procession. During this point in history, when Muslim rulers ordered mass conversions of Hindus and others, the severed heads of those who followed the Gurus were commonly displayed on spears and in cartloads filled with the decapitated heads of those who believed in the spiritual teachings of the Gurus, as their struggle to elevate equality was seen as a threat to Mughal dominance. The martyred bodies were paraded as a tool for terrorizing the population. Inside the Delhi fort, the remaining Sikhs were ordered to convert to Islam or be executed. There was a firm refusal from the Sikhs and their leader, followed by the execution, one-by-one, until only Guru Tegh Bahadur remained locked in an iron cage. Instead of screams of fear and pleas for mercy, the persecuted had sung holy hymns until the Guru was the only one left. The tale is one of several graphic episodes in history where the faith of the Sikhs was challenged, but, like the iron bars that held the ninth Guru captive, he remained committed to his distinct identity. In fact, each successive test only ingrained this uncompromising determination even more deeply into the Sikh way of life. In comparison to the historical context, the fight for an exemption to helmet laws for motorcycle riders seems almost inconsequential. Ripsodhak Grewal, principal of the Khalsa School in Brampton, the largest private Sikh religious school in Ontario, agrees with that assessment. The concept of identity is an integral aspect of the faith. In fact, devout Sikhs have five articles they carry with them at all times, each considered crucial, historically significant items that are outward expressions of their faith. These five items, known as the Five Ks, include the kesh (uncut hair), the kangha (a wooden comb for the hair), the kara (an iron bracelet), the kachera (a 100 percent cotton undergarment), and the kirpan (an iron dagger). It is here that the turban becomes intertwined, both spiritually and practically, with identity. Not only are turbans seen as a sign of the Sikh belief in equality, the cloth from which they are formed historically handed out by the Gurus to all people, they serve the purpose of protecting the kesh, the uncut hair. Grewal explains that because of the historical significance of the kesh, Sikhs have learned to not accept the removal of their turban under any circumstances. “This is what our Gurus have said, and this is what our Gurus have laid down their lives for,” he says. “The articles of faith are considered sacred and a part of the body. They remain on the person at all times,” Sarkaria adds. 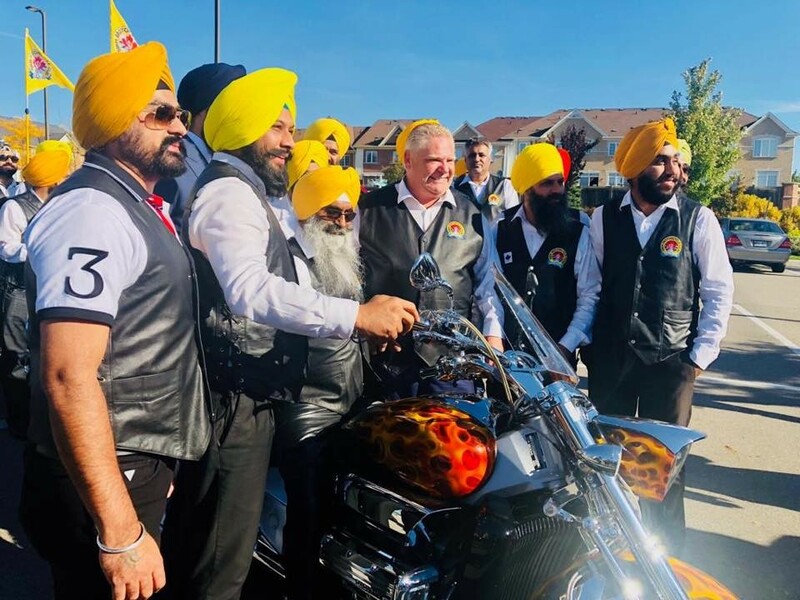 Canada has shown its acceptance of the turban in the past, though that appears at odds with Ontario’s refusal until now to allow Sikhs to ride without helmets. Currently, Sikhs are allowed to wear turbans as members of the armed forces, the RCMP and police forces across the country. Even during World War I and II, Sikhs often went into battle helmet-less. During the First World War, approximately 83,000 turban-wearing Sikhs fighting under the British armed forces were killed in action and over 109,000 were wounded. “They were wounded while enduring shell fire with no other protection but their turban, something that they cannot be without and a symbol of their faith,” Sarkaria says. 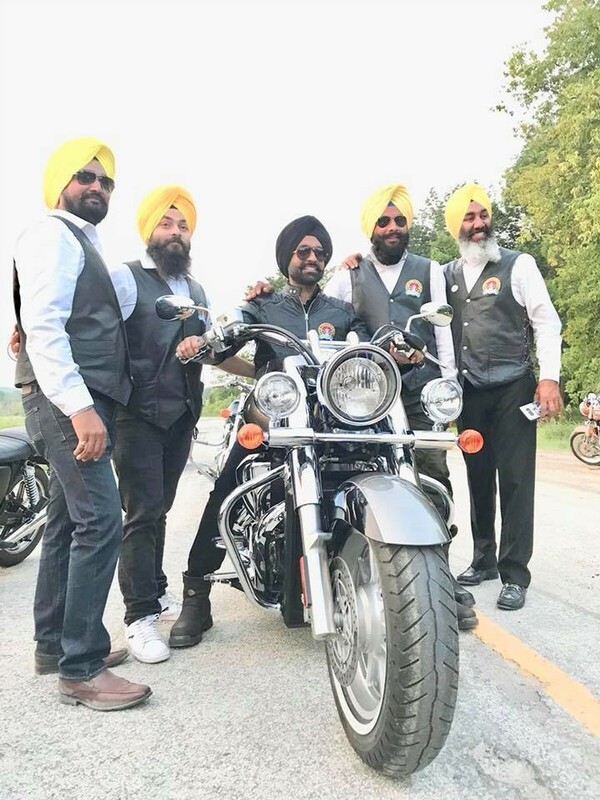 True to Sikh tradition, this debate has been framed as being about more than just an exemption for motorcycle riders, but about the acceptance of all cultures, says MPP Gurratan Singh.